Just ahead of the 89th Academy Awards, which are coming up this weekend, Industrial Light and Magic has released several visual effects reels for Rogue One: A Star Wars Story, which garnered two Oscar nominations for visual effects and sound mixing. 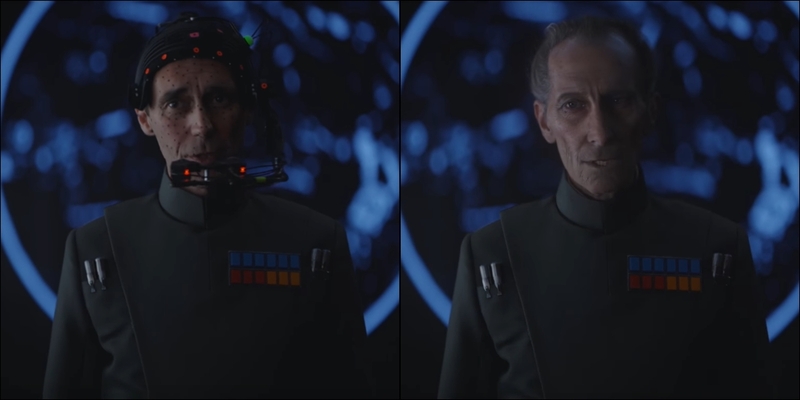 Now ILM has revealed a brand new behind the scenes video, this time focused on the creation of Grand Moff Tarkin. Be sure to check out the other VFX reels, which include a behind the scenes look the creation of Jedha and Scarif, as well as the final space battle.